If you love marijuana, Central Los Angeles is the best place to get it. Marijuana delivery in Central Los Angeles is faster than you could possibly get it yourself, not if you have to still drive there, choose your strains, wait in queues and make the return trip home. After checkout, your order will arrive within 45 minutes. All you need to do is open your front door when the driver rings your bell. You have access to more products online than you would at any marijuana dispensary in Central Los Angeles. Because Pot Valet collaborates with California’s most trusted retailers, you will only ever get premium-grade pot products. Every item in its selection goes to a laboratory for quality testing, ensuring you receive the finest weed anywhere in the state. There are hundreds of pot products to entice you, from world-famous flowers to potent concentrates, delicious edibles, pure oils, infused cosmetics, and everything between. Help is also available, should you need advice about different strains, methods of consumption, even uses. In fact, our cannabis delivery service in Central Los Angeles guarantees help when you need it, as well as speed and quality. The Spanish brought cannabis Sativa with them when they arrived on United States shores. Ships were overflowing with seeds; such was their abundance. The New World thrived on hemp production. It was immensely popular for making just about everything. Pot farmers were flourishing in the early 20th century. Mexican immigrants called it “marijuana,” and this name became common language. Peace and prosperity did not last. The 1907 Poison Law was the first one to control the plant. Enacted by Californian officials, it limited the production of hemp on an unprecedented scale. Due to nobody caring about it much, lawmakers made the law even stricter, restricting even more growth, possession and use. Once again, it failed. Non-compliance only became criminal with the 1937 Marijuana Tax Act. This period proved difficult for state officials who, conspiring with the California Board of Pharmacy, starting implementing numerous media campaigns to demonize it as a drug, which swayed public opinion until they eventually banned it outright. This succeeded for too many decades, until the legalization movement grew into a populist wave that overwhelmed prohibition in California. Legalization advocacy began in this state, despite, or perhaps because of, the extreme antagonism citizens endured against it for so long. Anybody can grow it, buy it, use it and carry it in California today, provided they are 21-years or older. Weed is still illegal federally, listed as a Schedule 1 narcotic under the archaic Controlled Substances Act of 1970. The federal government will eventually bow to pressure. Despite federal resistance to legalization thus far, states are simply ignoring them and drafting their own marijuana laws. It is legal in more than half of the United States today, whether medicinally, recreationally or both. Since California implemented Proposition 215 to legalize medical use in 1996, most states are following suit. Proposition 64, legalizing recreational use, is also leading other states. Although regulators are constantly changing laws, companies are investing in the industry and creating an economic boom like no other. Recreational sales are skyrocketing. In fact, the state is having endless troubles trying to supply consumer demand in store. As more cannabis companies receive state-issued licenses, supply will continue to increase until the industry stabilizes or everyone buys online. Weed is still illegal if peddled by unlicensed retailers. It is important to use only legal cannabis delivery services in Central Los Angeles. Regulations tightly control the industry, and it holds licensed companies accountable for the quality and the services they provide. However, because laws are still evolving as the legal market grows, there is still confusion about how to go about getting it. California officials govern all cultivation, distribution, manufacturing and sales of marijuana in Central Los Angeles. Pot shops must comply with regulations or risk losing their licenses. If police catch you supporting the illegal market, you may still find yourself facing unwanted charges. There are also many fraudulent websites online, so make sure to research them thoroughly before handing over your money. Check website reviews, product guides, client feedback. Browse the website for information and ask questions of its experts. Try reach out to them and see how long it takes to get a reply, if you get one at all. Pot Valet is licensed and legal. It is also fast, reliable, and discreet. 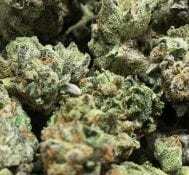 You will get your order within the hour if you want marijuana delivery in Central Los Angeles.